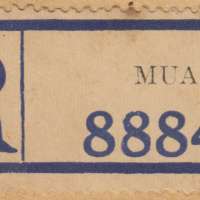 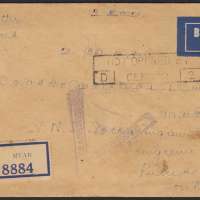 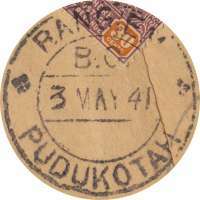 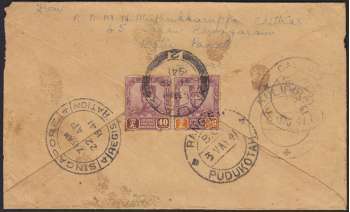 A registered postal cover sent from Muar, Johore to Rangiem, Pudukotah State, India. 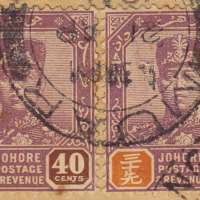 2 stamps of Sultan Ibrahim were used; 30 and 40 cents for a total face value of 70 cents. 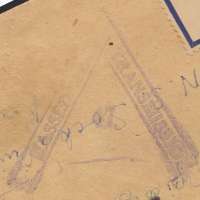 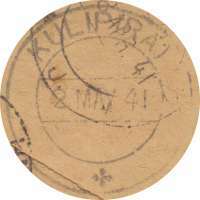 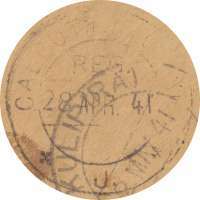 Almost good postal mark from Calcutta showing 'REG' slug. 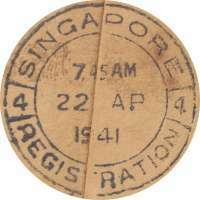 Nice REGISTRATION postal marking from Singapore. 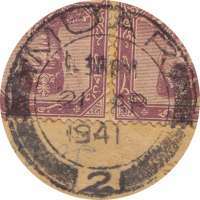 On the obverse, one square purple cachet, PASSED BY CENSOR.